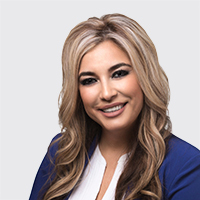 Sepideh Sepidehdam began her career at Mullen & Filippi in November 2011 and was appointed as Associate Partner in October 2015. She has practiced law in the area of workers' compensation since 2006. She represents employers, third-party administrators, and insurance carriers in the defense of workers compensation matters before the WCAB. Her practice has been primarily at the Van Nuys, Oxnard, and Los Angeles WCAB district offices, and in doing so, she has developed working relationships with most of the members of the Applicant's Bar and Judges at each venue. Sepideh received her Juris Doctor from Ventura College of Law in 2004. She graduated from Moorpark College in 1999 with her Associate degree in Arts. Sepideh is a member of the State Bar of California, Los Angeles County Bar Association, Iranian American Lawyers Association, Iranian American Bar Association, Women Lawyers Association of Los Angeles, Ventura County Bar Association, and National Notary Association. In my career, I have learned to be patient, to step aside and learn, and exchange knowledge. I've discovered that in order to get where you want to be, you need to work very hard and be positive. In my spare time, I enjoy spending time with my family and my pets. I am a huge animal lover and at one point my family had 3 dogs and 3 cats. One of my biggest passions is traveling. I try to travel as much as I can and learn about different cultures and languages. My travels have taken me to many places around the world including two of my favorites which are Croatia and Greece. I am fluent in speaking Farsi, even though I have never been to Iran. I definitely plan on visiting that country one day. I also still enjoy my childhood passion for dance and music.